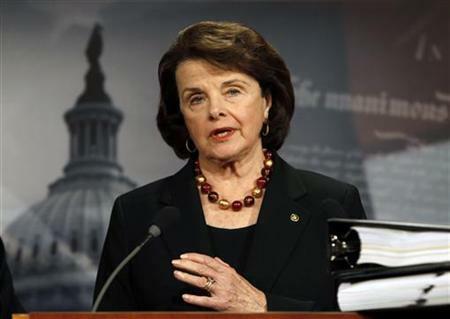 Is there any end to Diane Feinstein’s disingenuousness? Has this woman no shame? A bill to prevent interest rates on federal college loans from doubling on July 1 failed to get the 60 votes needed to clear the Senate to start debate on the legislation, yet Diane Feinstein tries desperately using her tried yet untrue shell game to blame so-called stubborn republicans. The Senate voted 52-45 along party lines. The vote was largely symbolic because the Democratic bill had no chance of approval by the GOP-led House. Taken straight from the DNC Play Book she wants the reader to believe this was all about stubborn Republicans. Nothing could be further from the truth. During this period of fiscal instability with unemployment rivaling that of the not so “Great Depression,” fiscally responsible Republicans will lead the country and the state back to prosperity. A bit of advice, when democrats are spinning it, hold on to your wallets. As all have noticed the fiscally irresponsible ways of the current administration are leading the United States into the abyss. The $6 billion measure would extend the 3.4 percent interest rate on subsidized Stafford loans for another year. Without congressional action, rates would grow to 6.8 percent. This sounds a bit harsh until one hears the foundation of sand upon which it was made. Republicans said they blocked the Senate from debating the bill because they oppose how Democrats would pay for it: Boosting Social Security and Medicare payroll taxes on high-earning stockholders of some privately owned corporations. This must lead the reader to question what student loans, Social Security and Medicare have to do with the situation. 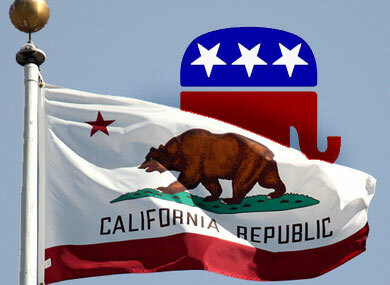 Nothing of course, it represents another opportunity for the party of woe to distract and blame the issue on the “rich.” California voters are beginning to understand, that the Democrat Party has been hijacked by the far left progressives. Team Obama has no positive record to run on, thus forcing a campaign on more false promises and out right lies. Race baiting and class warfare are currently the most useful tools in their bag of dirty tricks at the moment. Trust that it will only get worse. Take for example the comments below. “They’re sending a clear message that they’d rather protect wealthy tax dodgers, and that’s what they are, than help promising students achieve their dreams of higher education,” said Senate Majority Leader Harry Reid, D-Nev.
No sir senator you have been continually recalcitrant, refusing to bring legislation to the table and will be remembered for your four-year failure to pass a federal budget. As your party begins to sink below the waves, please provide a V.I.P. lifeboat for Senator Feinstein. Though she will no longer be important on January 20th, 2013 she deserves respect in getting her back to her moving van on that day. GOP senators want a vote on their own version heading off the interest rate increases and paid for by eliminating a preventive health fund created by President Barack Obama’s 2010 health care overhaul, but that financing idea has no chance of passing the Democratic-run Senate and has drawn a veto threat from the White House. In a democracy the voters get the elected officials they choose. If you want more of the same for those playing their tired tax and spend game, by all means vote for the 78 year-old incumbent. Californians know they need serious change thus they will be voting in the Primary election on June 5th for Elizabeth Emken. If you are not registered to vote, you may go directly here to do so. If you prefer to vote absentee by mail, please click here.